Keith passed away gently on May 6, 2018 at Vancouver Hospital in the warm morning sun surrounded by love. Five weeks earlier, he was hospitalized with a traumatic brain injury after a fall. Miraculously, one week after the accident he awoke from unconsciousness to smile and talk to his wife and family for one last time. It was his way of saying goodbye. To hundreds of his patients, Keith was known in Nanaimo as a respected family dentist with a happy demeanor and one of the most painless needles around. 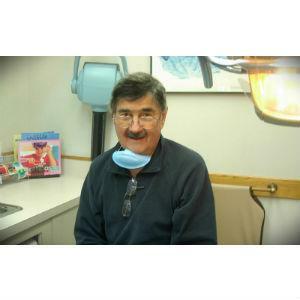 He practiced for 18 years in Nanaimo alongside his partners Dr. Fern Savoie, and Dr. Herman Krauss, and after semi-retiring to Vancouver with Sonia, his life-partner of 60 years, he continued doing dentistry until his 80th birthday working in the practice of Dr. Bob Jamieson of Richmond. He was most known for his deft hand at restorative dentistry, but to his family and friends he was famous for being a consummate problem-solver who could build or fix anything. There was no piece of fine furniture he couldn’t build or broken appliance he couldn’t repair. 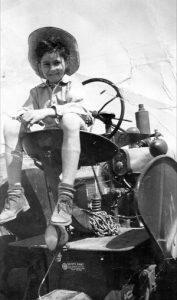 This was a skill he learned out of necessity having been raised on a farm in Kerrobert, Saskatchewan. 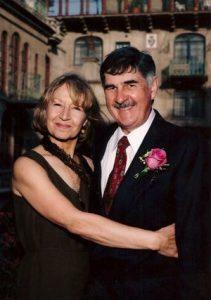 It was there that he met the love of his life, Sonia Soroka. For the first few years of their marriage, Keith followed in his Father’s footsteps. After their first two daughters were born, Keith realized farming wheat wasn’t his destiny, and decided to make the unlikely transformation from farmer to dentist. With Sonia at his side, they travelled back and forth from the farm to the University of Alberta, turning wheat into tuition and tuition into a new life. They were equal measures tough and hopeful times, but 7 years later, with a third baby daughter in their arms, Keith and Sonia moved the family to Nanaimo to begin the business of fixing teeth and raising daughters. Keith was a true Renaissance Man and a gentle soul who always lent a hand. Some of his favorite things were golfing with Sonia, road trips, dancing, a good joke, a bad joke, punctuality, more dancing, fishing, garlic, Sudoku, Jenga, poker and an occasional Guinness with his many friends, sons-in-law and Soroka brothers and sisters. Keith is predeceased by his mother, Rena, his father, Jack, brothers Glen and Gordon and his niece Cindy. He is remembered by his nieces, Leslie Weber (nee Shortt), Elaine Cummins (nee Shortt), Marlene Sieben (nee Shortt) and his nephew Dale Shortt. He will be deeply missed by the Soroka Clan, his loving wife Sonia, and his three daughters, Marena Murray (John), Tara Shortt (Todd) and Lisa, who gave him two beautiful grandchildren, Sebastien and Talia. Keith was a respectful listener, an artist, and a humble man who hated to talk about himself. No doubt, this obituary would make him squirm, but I guess we have the last word, Dad. We love you and will miss you forever. 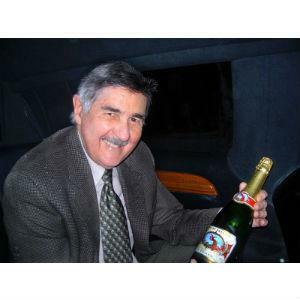 A private Celebration of Life will be held on Saturday, May 19th. Donations can be made in Keith’s name to support the Intensive Care Unit fund at VGH and UBC Hospital Foundation. Donate at vghfoundation.ca/keithshortt2018 or by calling 604.875.4676 or by mail to VGH and UBC Hospital Foundation. I am so sorry to hear of Keith’s passing. I remember him from my childhood as such a warm and caring man. I hope you are making small steps forward everyday. I lost my mom in March. I thought I was prepared, but sadly I have learned that you are never prepared to lose a parent. My thoughts are with you.